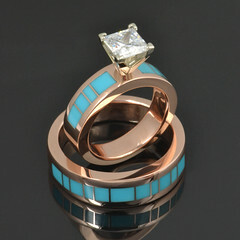 Get your inlay jewelry repaired ASAP! Eventually everyone will need repairs done to their jewelry, whether the damage is from everyday wear and tear or from a one time accident. The important thing is to get your jewelry repaired as soon as possible. Wearing your jewelry in a damaged state, especially inlaid jewelry, will only lead to bigger and more expensive repairs or stone loss. Once an inlaid stone has a crack in it, water or other liquids can seep through the crack to the epoxy. The epoxy is the only thing holding the stones securely in the mounting. Water or other chemicals may affect the bond between the stone and the mounting, allowing some or all of the stones to fall out. Prongs should be checked yearly to make sure they are not worn or bent, possibly resulting in stones coming loose. Closely inspect your jewelry on a regular basis. If your eyesight is not what it used to be, buy a magnifying glass or take it in to a local jeweler and have them take a look at it under magnification. 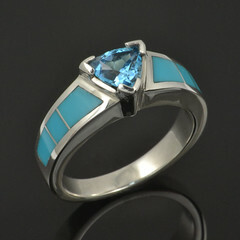 If your inlay needs repair, we suggest returning it to Hileman Jewelry for repairs. 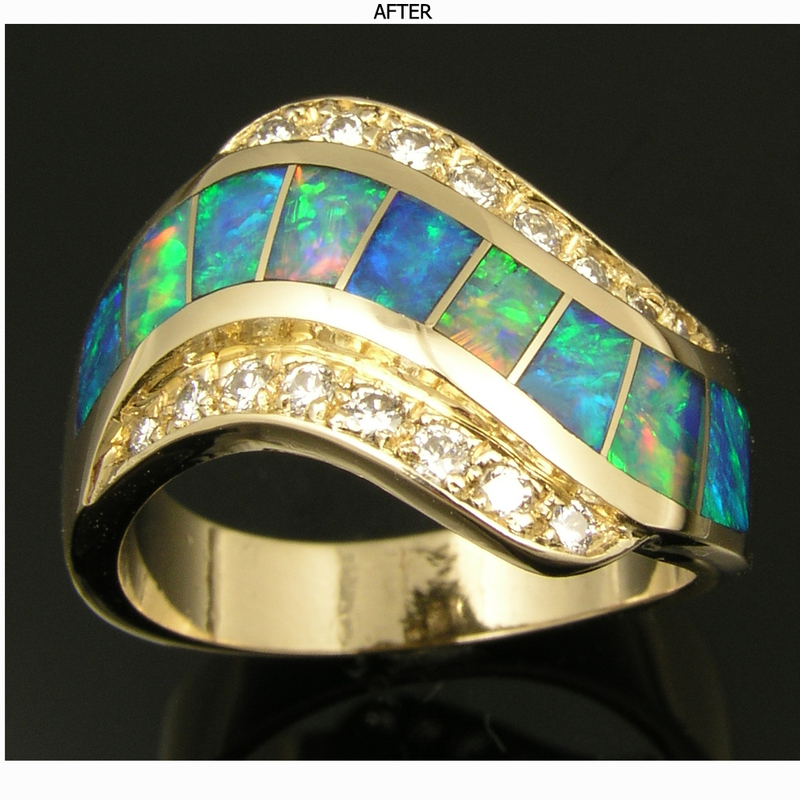 We have the materials to match your piece and the lapidary expertise to make your repaired piece of jewelry look like new again. We refinish all Hileman Jewelry at no charge other than shipping and insurance costs and replace cracked or missing pieces at a very reasonable price. 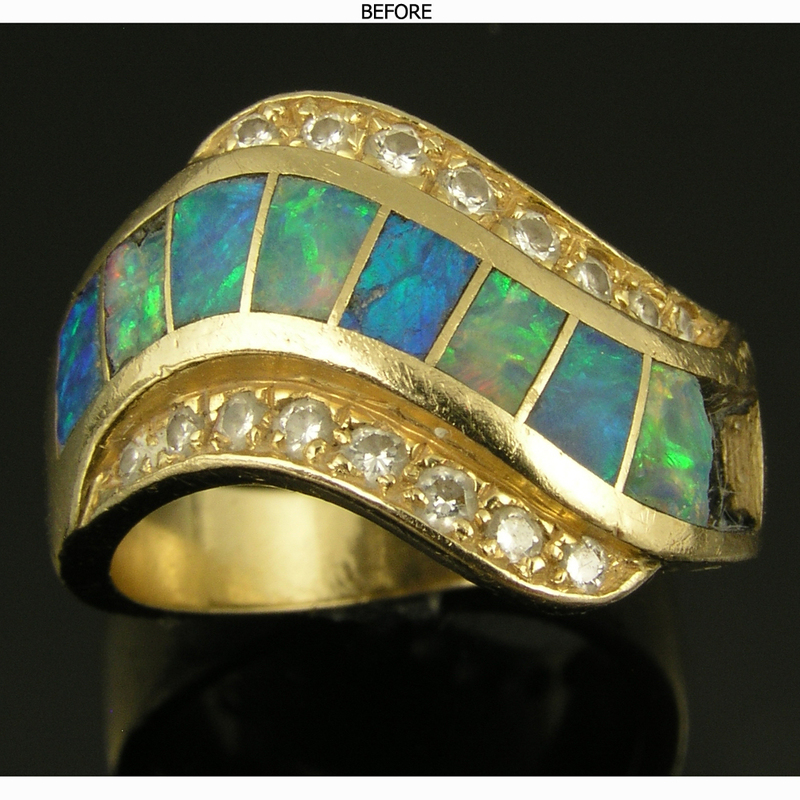 Contact us about getting your jewelry repaired today! 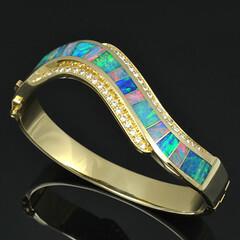 This entry was posted in Jewelry Repair and tagged Australian opal replacement, Hileman, inlay jewelry repair, jewelry repair, opal inlay, opal jewelry repair. Bookmark the permalink.